2019 Calendar. 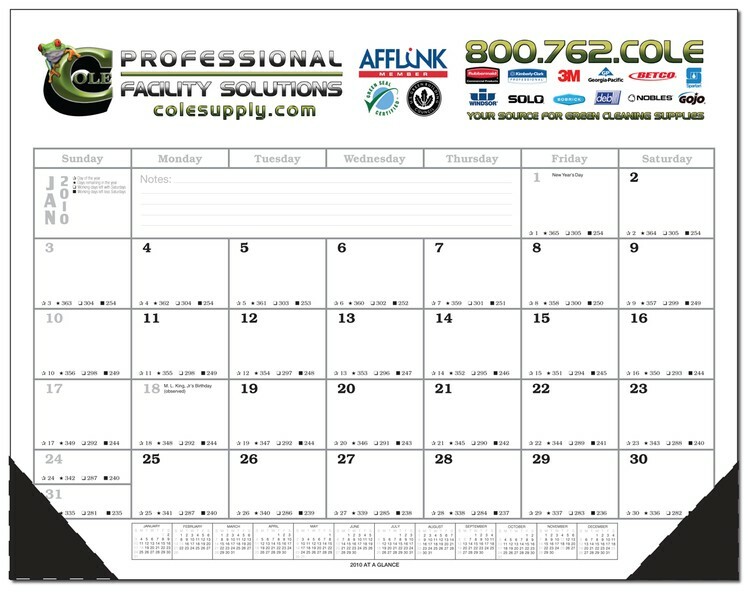 Deluxe desk pad blotter that features full color imprint at the top. Calendar is padded at the top with 2 black vinyl corners & chipboard back. Large imprint area. 12 sheets padded at top. Calendar grid is black. This is the least expensive full color desk blotter in the industry.